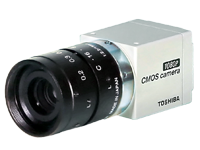 The new generation full HD 3CMOS Remote Head Colour Camera IK-HD3H is Toshiba's most advanced 3-chip HD video camera. 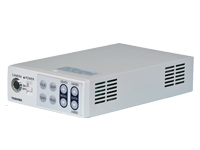 The small and light weight IK-HD3H implements Toshiba's exceptional Microprism technology and delivers optimal colour accuracy and true high-definition, progressive/interlace scan video with digital DVI output. The Genlock fitted, light weight camera head features a C-mount and connects with the DVI-D output CCU IK-HD3D. The new generation IK-HD3D camera controller features unprecedented new capabilities such as binning mode for a 4X increase in sensitivity, image flip and mirror, and greatly expanded user control features. 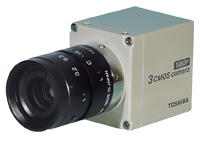 For even greater flexibility the IK-HD3D controller is compatible with both new IK-HR3H 1 CMOS, and IK-HD3D 3CMOS camera heads.